Different Types of Loans for Businesses: A Helpful Guide | Del Toro Loan Servicing Inc.
As an entrepreneur, you don’t always have enough company funds to purchase the equipment, tools, and personnel that your employees need. That’s where business loans come in, providing you with a convenient solution for your financial needs. 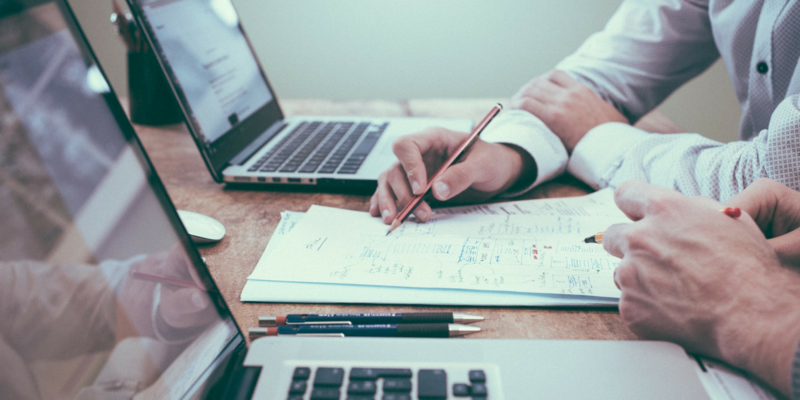 The good and bad news is that there is a wide range of different business loans available, giving you plenty of options, whether you’re guiding a new startup or running an established medium-sized business. Here’s a quick guide on some of the common types of business loans. Term loans are loans from a bank for a set amount of money with a specific repayment schedule and floating or fixed interest rates. Term loans are the standard business loan used for acquisitions or major investments. Small businesses will often use term loans to buy equipment for production and other fixed assets. Term loans are often provided by large U.S. banks, though local community banks that focus on business loans may have more lax qualifications, allowing for easier approvals. Most banks tend to divide term loans into two categories: intermediate-term loans and long-term loans. Intermediate-term loans usually only last up to three years at most and feature monthly payments that come directly from your business’ cash flow. Long-term loans can run anywhere from three to 25 years and comprise other requirements, including collateral and limits on other financial commitments for your business. Term loans can come with their downsides. Most will require some form of collateral on top of a long, intensive approval process. Loans amounting to over $100,000 will also require a full set of financial statements, and the bank will need to conduct a complete financial analysis. However, term loans are often the best option for most small businesses. Assuming you have good financial footing and are willing to make a down payment, you shouldn’t have too many problems getting a loan with minimal monthly payments and overall loan costs. Merchant cash advances – While this isn’t technically a loan, it fulfills the same general function. With a merchant cash advance, the lender buys future credit card sales, which are then repaid via your credit card. The lender takes a percentage of all credit card revenues before they even reach your business’ bank account until the advance gets paid off in full. A line of credit – Similar to a business credit card, lines of credit comprise a certain amount of credit that you can use as needed and then repay gradually. Lines of credit always deal in cash and tend to come with lower APRs than business credit cards. Invoice financing – Through invoice financing, lenders offer a solution to outstanding invoices by advancing a percentage of what you are owed via an invoice (sometimes as high as 90 percent). Once a customer fulfills an invoice, the lender will take a percentage of interest and return the rest to you. Short-term loans come with plenty of perks. The application process is often simplified and consists of limited paperwork. Short-term loans are also much easier to qualify for. Most lenders will even accept bad credit or other negative marks on your financial record (though this may inevitably contribute to higher interest rates). 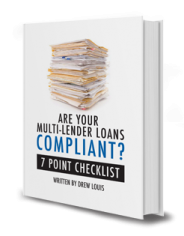 At most, lenders will look for at least 9 months of business with at least $50,000 of annual revenue. Assuming you make your payments on time, the short turnaround also makes it much easier for you to develop your financial portfolio and build good credit, especially if you have a low credit score. The shorter terms inherently mean higher interest rates than longer-term loans. Interest rates for a short-term loan often start at 10 percent. Weekly payments may also prove difficult if your business experiences ebbs and flows in revenue. Ultimately, as long as you plan ahead and discuss your needs with the lender, short-term loans can be hugely beneficial. SBA loans are low-cost loans with flexible terms that have been secured by the U.S. Small Business Administration. Contrary to what you might think, this does not mean that the Small Business Administration is directly giving money to businesses. The money is still handled by banks and other conventional financial institutions. When you apply for an SBA loan, you’re applying for a typical commercial loan that is structured according to the SBA’s requirements and with an SBA guaranty. In the event that the business defaults on loans, the SBA can pay off the loan or some part of it (usually about 85 percent). SBA loans essentially reduce risks for banks lending money to small businesses that may otherwise not qualify for traditional term loans. Microloan Program – This program offers small, short-term loans for small businesses and qualifying non-profit childcare centers. 7a Loan Program – The most common loan program offered by the Small Business Administration, the 7a Loan Program offers financial help for certain specialized businesses, including farms, agricultural business, franchises, and fishing vessels. CDC/504 Loans – This program is mainly for real estate equipment and other major fixed-assets. Small businesses can apply for SBA loans through any bank that offers them or a local Certified Development Company. The process starts with an application that has to be approved and underwritten by a bank or small business lender before it is sent to the Small Business Administration. The SBA then performs its own approval and underwriting processes under its own specific guidelines. Once both organizations have approved the loan, the bank or financial institution disburses the funds and services the loans. The SBA is only there to cover you if you default. The disadvantages to SBA loans often come down to the upfront costs and processing time. You can often expect to pay origination fees and closing costs, on top of fees for SBA approval (often up to 3.5 percent of the total loan amount). Two approval and underwriting processes may also mean two different forms of collateral or valuations of property, which can all add up. Dealing with a financial institution and the SBA may also mean an extended application and approval process. However, SBA loans can have some big perks for small businesses. While most lenders will generally want shorter terms for other loans, SBA loans often offer extended loan terms. This not only makes for a more affordable loan payment but also makes qualifying for a loan much easier, while ensuring greater flexibility throughout the longevity of the loan. Although SBA loans do require collateral, the requirements for collateral are much more flexible. Most business loans require a form of collateral that is at least 100 percent (usually more) of the loan amount. The Small Business Administration may allow for lesser collateral as long as the potential borrower meets other criteria. Equipment loans are specifically reserved for buying business equipment. These can be obtained from a bank or alternative lending sources. Unlike other loans, these loans use the equipment itself as collateral. This means that if you fail to pay your loan or otherwise default, the lender will take the piece of equipment and sell it to recoup any payments. Equipment loans are a boon for startups and newer businesses. Where traditional business loans often require at least two to three years of profitable operation, equipment loans are much easier to qualify for. Credit rating and business history aren’t as important as the value of the piece of equipment being financed (though some lenders may still have minimum credit rating requirements). That ultimately equates to a faster application and approval process, which can be a big concern if a critical piece of equipment is broken or malfunctioning. This also means access to newer, more cutting-edge equipment. With an equipment loan, you can immediately replace any piece of equipment instead of shelling out money to fix a potentially outdated tool or piece of machinery. Some equipment loan programs even offer trade-in opportunities that allow you to trade in older tools for newer models after a set time period. The typical repayment period for an equipment loan is one to five years, but some can go up to 10 years depending on the shelf-life of the equipment and size of the purchase. Interest rates are usually 6 to 9 percent, though higher credit scores will result in lower interest rates. Down payments tend to be the one downside. While 5 percent is the minimum down payment, most lenders will require a 10 to 20 percent down payment, especially if your credit profile looks risky or if your business is just starting out. Equipment loans often don’t require a down payment while still offering 80 to 100 percent financing. Some equipment financing lenders offer flexible repayment periods, allowing you to set when you pay (monthly, quarterly, or annually) or defer initial payments for 90 days. Depending on your situation, you may also be able to deduct equipment loans as an operating cost. Business loans can help you run your business and ensure profitable growth. Del Toro Loan Services can help you with your business loans through services that are customized to your specific budget and needs. Contact us if you have any questions or want to learn more.